SAN FRANCISCO, July 29, 2014 /PRNewswire/ – Health 2.0 announces Bernard Tyson, CEO of Kaiser Permanente, as a keynote alongside visionary physicians Eric Topol, Patrick Soon-Shiong, and Samsung’s President Young Sohn at the Health 2.0 8th Annual Fall Conference this coming Sept. 21-24 in Santa Clara, CA. This year, Health 2.0 is set to host the very first Wearable Tech Fashion Runway as a part of the larger session on Consumer Tech & Wearables: Powering Healthy Lifestyles. The panel will also showcase data utility layer platforms from tech giants such as Intel, Qualcomm, WebMD, and Walgreens, which are working with these trackers to provide a complete consumer health solution. Once again, Health 2.0 leads the industry with never before seen technologies, panels, and discussions based on industry classifications of patient-provider communication, consumer facing products, professional facing products, and data analytics. Consumer Tech & Wearables: The newest addition to the Health 2.0 agenda is The Wearable Tech Fashion Runway, which features a multitude of wearable health tech in addition to data utility layer platforms from giants such as Samsung, Intel, Qualcomm, WebMD and Walgreens. Big Names, Big Issues, Big Solutions: Notable Industry leaders and companies bring their solutions and knowledge to tackle some of the most pressing issues within health care. Newly added to the agenda are Ryan Howard (Practice Fusion), Mike & Albert Lee (myfitnesspal), Kent Bradley (Safeway),Jonathan Bush (athenahealth), Girish Navani (eClinicalWorks), Andy Krackov (California Healthcare Foundation), Jacob Reider (ONC), Rajni Aneja (Humana), and Dena Bravata, (Castlight Health). A special bonus feature includes a demo of the latest Samsung Electronics platform and product–SAMI and the SIMBand–with President Young Sohn interviewed by Indu Subaiya (Health 2.0). More companies and speakers found on the agenda. 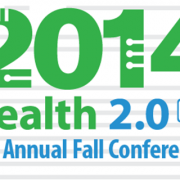 Start-Ups, Entrepreneurship & Investors: This year, Health 2.0 is poised to offer new opportunities for start-ups and entrepreneurs during the fall conference. Traction: Health 2.0′s Start-Up Championship is the inaugural pitch contest enabling series A-ready start-ups to showcase their business plan in front of a judging panel of renowned venture capitalists. The Bootstrapped Basecamp will put the most innovative seed stage start-ups inside the Health 2.0 Exhibit Hall to be found by potential partners, investors and customers.